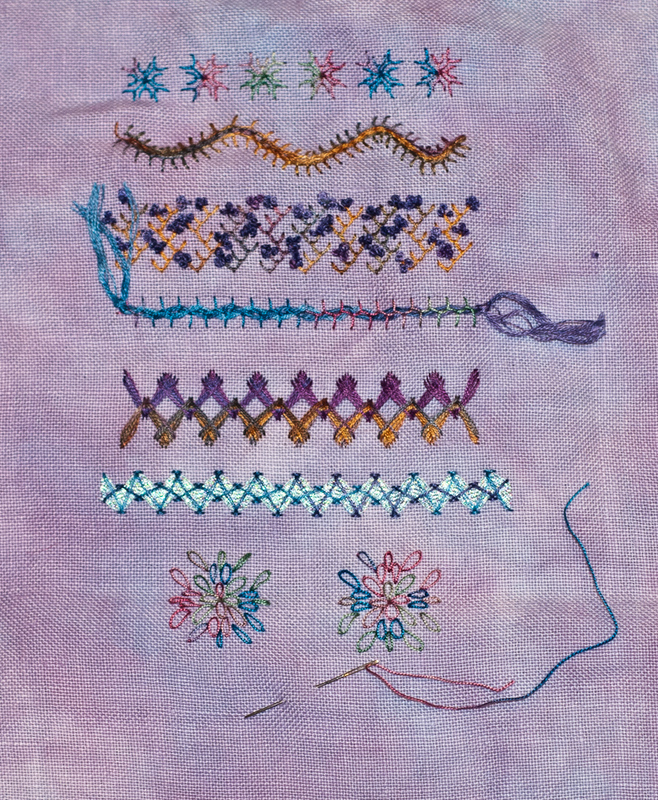 I decided to make a couple of motifs for this stitch. They look a bit like snowflakes or chrysanthemums to me. Look at all those stitch patterns! Oh my goodness, I had no idea all of those were possible! I've stuck to just the X's! 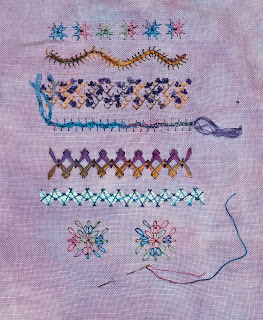 :) Beautiful stitching! Hi Lesli- dive in with the other stitches! They're fun, and x after x can get kind of boring.